Steve Conboy GM of M-Fire Suppression explains to Steve Cassidy former NYC Fire Fighters Union President, the value of making OSB and CLT Class-A fire-protected to make all wood framed buildings safer, in fire during construction and after tenants have occupied a building with just raw lumber. 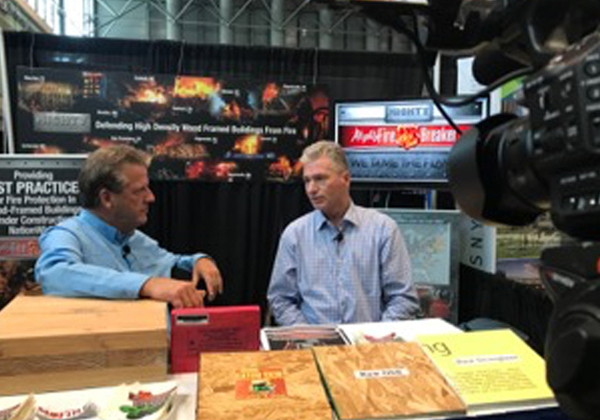 Steve Cassidy understands how raw lumber buildings can put Fire Fighters at a much higher risk than wood buildings that have been defended by M-Fire Mighty Fire Breaker™ Applied Fire Science. Our Vision IS to Provide Superior Fire Protection With Mighty Fire Breaker™ Applied Science and Technology(SM) in order to make all wood framed buildings safer with less risk expecting risk management insurance providers to reduce premiums for those builders that defend all the interior lumber not just a fire wall. Oriented strand board (OSB) and plywood are wood structural panels made by compressing and gluing pieces of white wood together. While OSB and plywood appear similar and are generally interchangeable, the different ways that each material is manufactured contribute to each having its own unique strengths and weaknesses. OSB is manufactured from heat-cured adhesives and rectangular- shaped wood strands that are arranged in cross-oriented layers. Produced in large, continuous mats, OSB is a solid-panel product of consistent quality with few voids or gaps. The finished product is an engineered wood panel that shares many of the strength and performance characteristics of plywood. 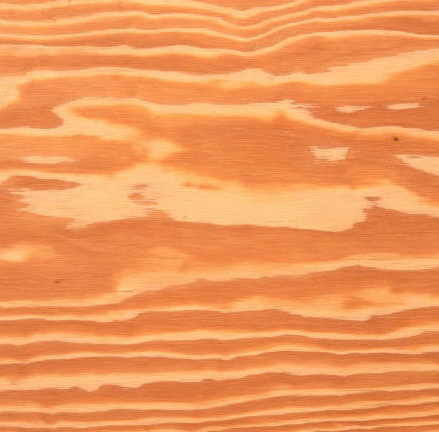 Plywood is made from thin sheets of veneer (layers of wood that are peeled from a spinning log) that are cross-laminated and glued together with a hot press. Throughout the thickness of the panel, the grain of each layer is positioned perpendicular to the adjacent layer. The finished product is made from an odd number of layers so that a balance is maintained around its central Plywood has a consistent appearanceaccess. Since it is made from whole layers of logs rather than small strands, plywood has a more consistent and less rough appearance than OSB. While OSB developed fairly recently, it became more popular than plywood in North America by 2000. Today, nearly twice as much OSB as plywood is produced in North America. Outside of North America, OSB is not commonly used in construction. In 2005, the combined production of OSB in Europe and Latin America was just 3.5 billion square feet – less than seven times as much as was produced in North America that year. While both products are made from different materials, and some builders strongly prefer one or the other, OSB and plywood are both manufactured according to the same performance standards. OSB can be made from narrower, faster growing trees than plywood. OSB can be manufactured into panels that are larger than plywood. 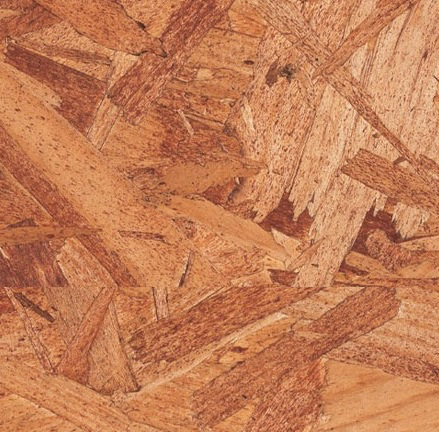 OSB is more uniform, so there are fewer soft spots, such as those that can occur in plywood. OSB is less expensive than plywood. To build a typical 2,400-square foot home, OSB may cost $700 less than plywood. OSB is considered by many to be a “green” building material because it can be made from smaller-diameter trees, such as poplars, that are often farmed. 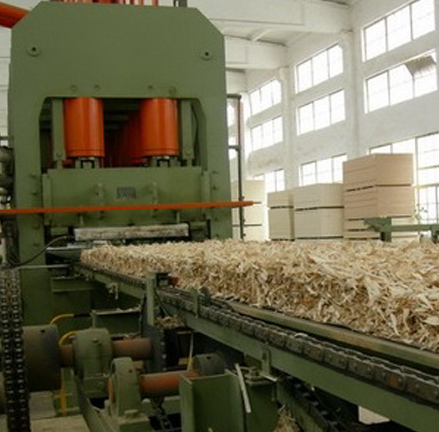 Plywood production, by contrast, requires larger-diameter trees from old-growth forests. Plywood has a tendency to delaminate, especially in hot climates such as Florida.